JUSTDRIFT | admin May 27, 2014 | Comments Off on TOPDRIFT RD2 – PICTURES! 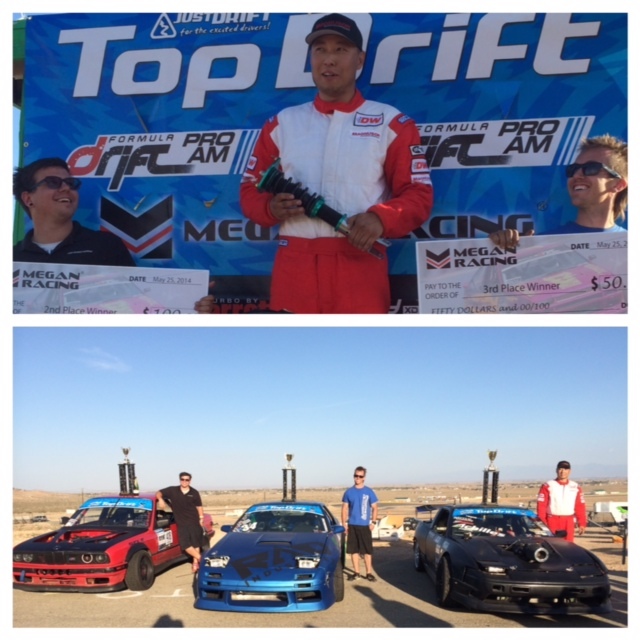 Congratulations to 1st Place – Spike Chen, 2nd Place Donovan Brockway 3rd Place Dan Burkett and the Stealth Custom Fab Insane Entry/Transition award $250 to Mike Bolanos who is also the #1 qualifier. JUSTDRIFT | admin May 26, 2014 | Comments Off on TOPDRIFT Rd2 Winners! 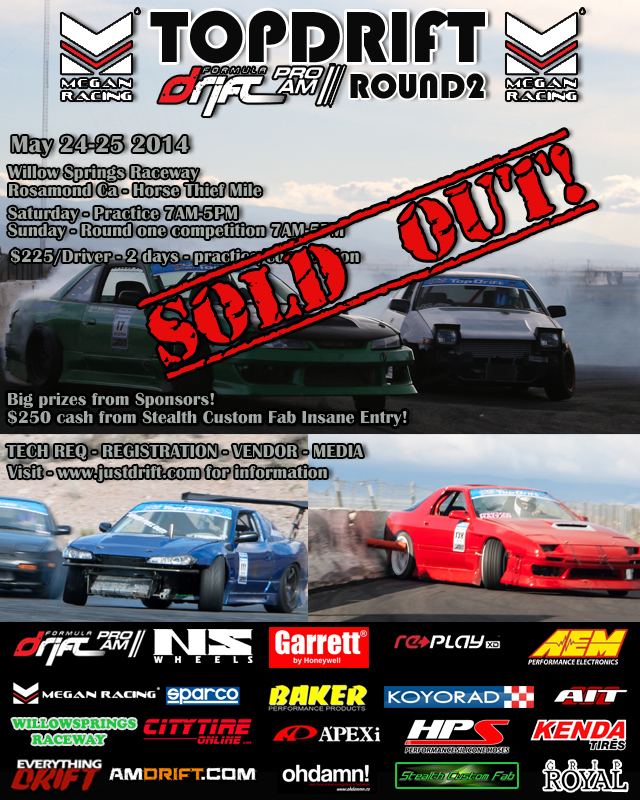 TOPDRIFT RD2 – SOLD OUT! TOPDRIFT Rd2 SOLD OUT TO DRIVERS! SPECTATORS COME OUT AND WATCH FUTURE STARS! JUSTDRIFT | admin May 23, 2014 | Comments Off on TOPDRIFT RD2 – SOLD OUT! Top Drift Round One 2014 from Justin Pugh on Vimeo. The Official edit of JUSTDRIFT – TOPDRIFT FormulaDrift Proam – Round 1 Presented by Megan Racing / Edit by Brian Tindall of Winding Highway Studios Cameras provided by RePlay XD – Watch, Like and Share! See you guys this weekend.